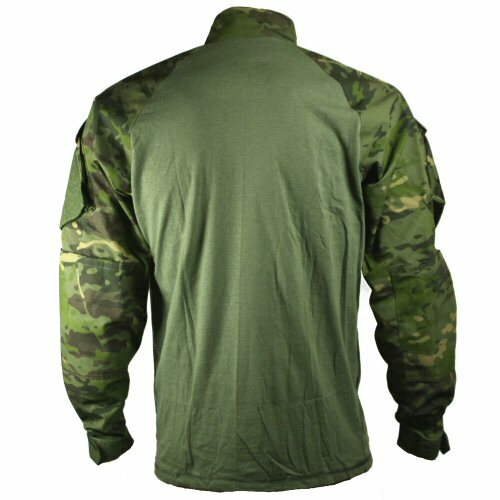 The Truspec Tropical Multicam combat shirt or UBACS features genuine Crye Precision tropical multicam. 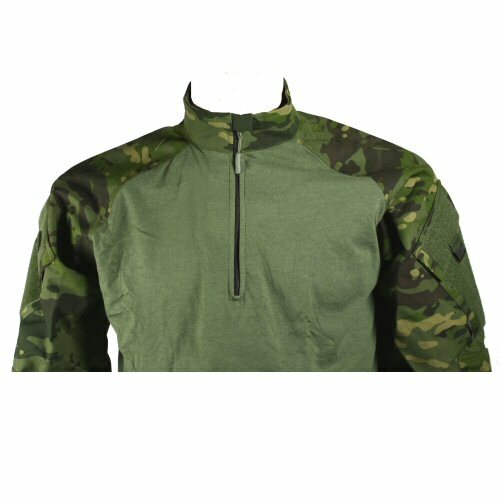 This combines the multicam dot, blob and dash pattern with a jungle or woodland green colouration for better concealment in predominantly green environments. The UBACS shirt features sleeves manufactured in 50/50 NYCO ripstop fabric, and a cotton poly jersey body and underarm gussets. 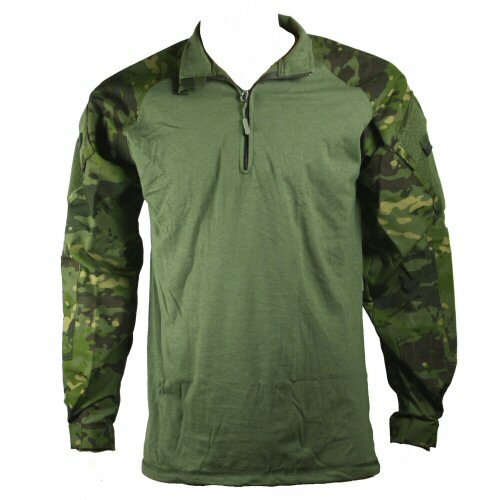 1/4 length zip makes the shirt easy to put on and take off. The mandarin collar is faced on the inside with jersey for comfort. 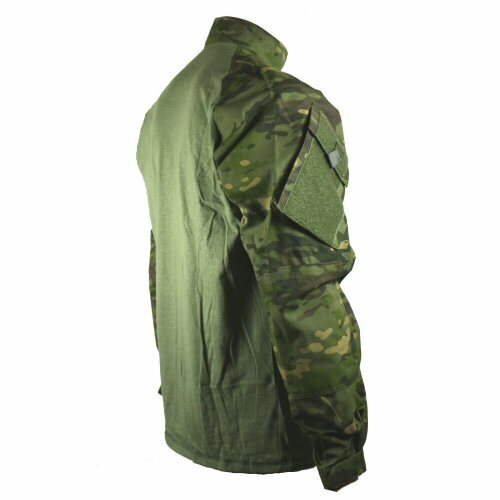 Sleeves are cut to the same pattern as Truspec Tactical Response sleeves, with one upper arm pocket each, elbows that open to take padding and pen pocket on lower left arm. Cuffs close with velcro. Machine washable. Sizes are S (38 in chest) M (41 in chest), L (44 in chest), XL (47 in chest). Quarter length zip drawn tight. A large sleeve covers the top of the zip. Side of the shirt, showing the arm pocket, elbow reinforcement and velcro cuff.